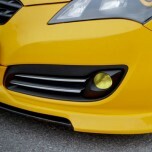 ITEM: Side Lip Aeroparts Set for 2012-2013 KIA K3 / New Cerato MANUFACTURER : SEQU.. 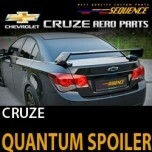 ITEM: QUANTUM Rear Trunk Wing Type Spoiler for 2009-2013 Chevrolet Cruze (Lacetti Pre.. 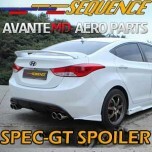 ITEM: SPEC-1 Lip Aeroparts Front+Side+Rear Kit for 2015-2016 Hyundai Avante AD / Elan.. 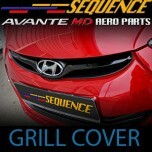 ITEM: Molded Radiator Grille Cover for 2010-2013 Hyundai Avante MD / Elantra MD MANU.. 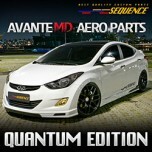 ITEM: QUANTUM EDITION Aeroparts Front+Side+Rear Kit for 2010-2013 Hyundai Avante MD .. 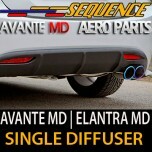 ITEM: Rear diffuser Genuine Type for 2010-2013 Avante MD / Elantra MD MANUFACTURER&n.. 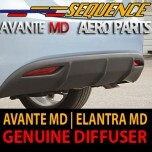 ITEM: Rear Diffuser Single Type Black Matte for 2010-2013 Avante MD / Elantra MD MAN.. 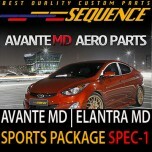 ITEM: SPEC-1 Rear Lip Set for 2011-2013 Hyundai Avante MD / Elantra MD MANUFACTURER: SEQUENCE ORIG.. 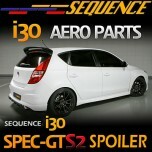 ITEM: SPEC-1 SPORTS PACKAGE Aeroparts Front+Side Kit for 2010-2013 Hyundai Avante MD /&nb.. ITEM: SPEC-GT Rear Wing Spoiler Set for 2010-2013 Hyundai Avante MD / Elantra MD MANUFACTURER&.. ITEM: Fog Lamp Cover Set for 2008-2011Hyundai Genesis Coupe MANUFACTURER : SEQUENCE ORIG.. 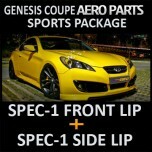 ITEM: SPEC-1 Sports Package Front LIp Kit for 2008-2013 Hyundai Genesis Coupe MANUFACTURER&nbs.. 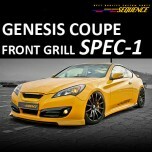 ITEM: SPEC-1 Radiator Tuning Grille for 2008-2013 Hyundai Genesis Coupe MANUFACTURER : SE.. 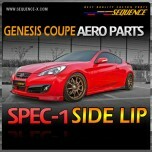 ITEM: SPEC-1 Sports Package Side Lips Set for 2008-2013 Hyundai Genesis Coupe MANUFACTURER&nbs.. 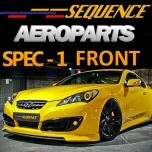 ITEM: SPEC-1 Sports Package Aeroparts Body Kit for 2008-2013 Hyundai Genesis Coupe MANUFACTURE.. ITEM: SPEC-GT Rear Trunk Wing Spoiler Spoiler for 2008~ Hyundai Genesis Coupe MANUFACTURER&nb.. 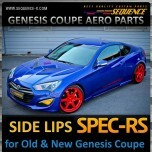 ITEM: SPEC-RS Side Lip Aeroparts Set for 2008-2013 Hyundai Genesis Coupe MANUFACTURER : .. ITEM: SPEC-GTS2 Rear Roof Spoiler for 2008-2011 Hyundai i30 / Elantra Touring MANUFACTURER&nbs..